Windows 10 build 16257 is now available for download. Update: Windows 10 build 16257 is now available for download on PCs. The new Windows 10 Fall Creators Update build currently available for fast ring members only. Eye Control Beta is now available with build 16257 which makes Windows 10 more accessible by empowering people with disabilities to operate an on-screen mouse, keyboard, and text-to-speech experience using only their eyes. The experience requires a compatible eye tracker, like the Tobii Eye Tracker 4C, which unlocks access to the Windows operating system to be able to do the tasks one could previously accomplish with a physical mouse and keyboard. Currently, Eye Control works with select Tobii hardware. Windows 10 build 16257 fixed an issue where right-clicking on an image in Microsoft Edge and selecting copy then later pasting the clipboard content would result in the image URL being pasted rather than the image itself. Fixed an issue where if a tab had been opened while Microsoft Edge was in full screen mode, using Ctrl + W to close that tab while still in full screen mode would close the content but leave the tab in the frame. Fixed an issue where if you had two unrelated tabs in Microsoft Edge and opened a link from the first in a new tab, the new tab would appear to the right of the second tab rather than the first. Improved the performance of launching the touch keyboard after tapping the touch keyboard button in the taskbar. Windows 10 build 16257 fixed an issue where using WIN+H to dictate into a UWP app’s text field wasn’t working. Fixed an issue resulting in the Japanese IME prediction candidates position being shifted and overlapping with typed text if you set the page zoom level to something other than “100%” in Microsoft Edge. Windows 10 build 16257 adjusted the design of the Japanese curve-flick touch keyboard to display numbers and English letter keys in a smaller font that’s more consistent with the size of the Japanese character keys. Windows 10 build 16257 have added new status strings to the WDAG splash dialog to provide more information about the startup stages for WDAG. These new strings will be displayed to users when WDAG is starting up and when it’s being resumed from a paused state. Windows 10 build 16257 fixed an issue where the battery flyout might have shown unexpected text for the % charged (specifically “%1!s!%2!s!% until fully charged”). Windows 10 build 16257 fixed an issue where if you switched to a new tab and back in Microsoft Edge, Narrator would start reading from the top of the page again, rather than remember where you had been on the page. Windows 10 build 16257 fixed an issue resulting in certain games such as Wargaming’s World of Tanks, World of Warships, and World of Warplanes appearing to hang/freeze shortly after launch when played on x86 PCs in recent flights. Original Story: Microsoft Windows 10 build 16257 for PCs is now under testing. 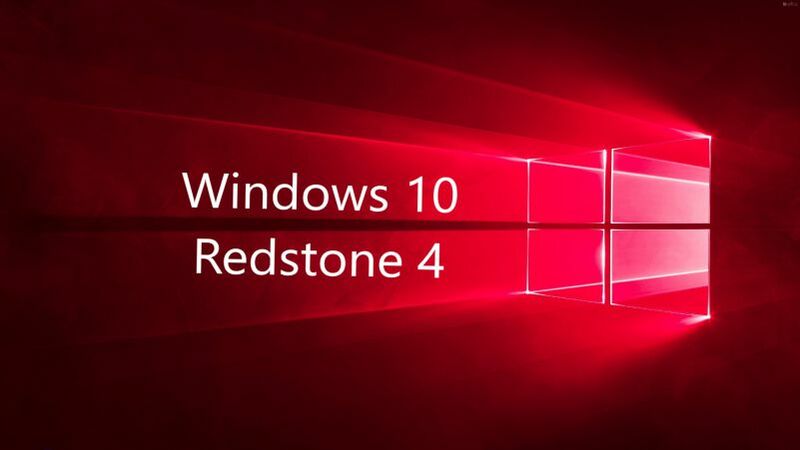 The new Redstone 4 update build 10.0.16257.1000 (rs_prerelease.170728-1630) was compiled on July 28, 2017. In addition, the company also compiled mobile build 10.0.15237.0 (feature2.170727-1950) on July 27. Windows Insider team may release build 16256 or build 16257 to Fast Ring members this week.